HyLite’s 100W LED Arc-Cob has been awarded Product of the Year in the Lamps category by Electrical Construction & Maintenance. The HyLite 100W LED Arc-Cob was selected as the winner by a panel of electrical experts. All 2016 Product of the Year category winners will be voted on by EC&M subscribers for the overall product of the year as a Platinum, Gold, or Silver Winner. Voting Begins May 27th, 2016. 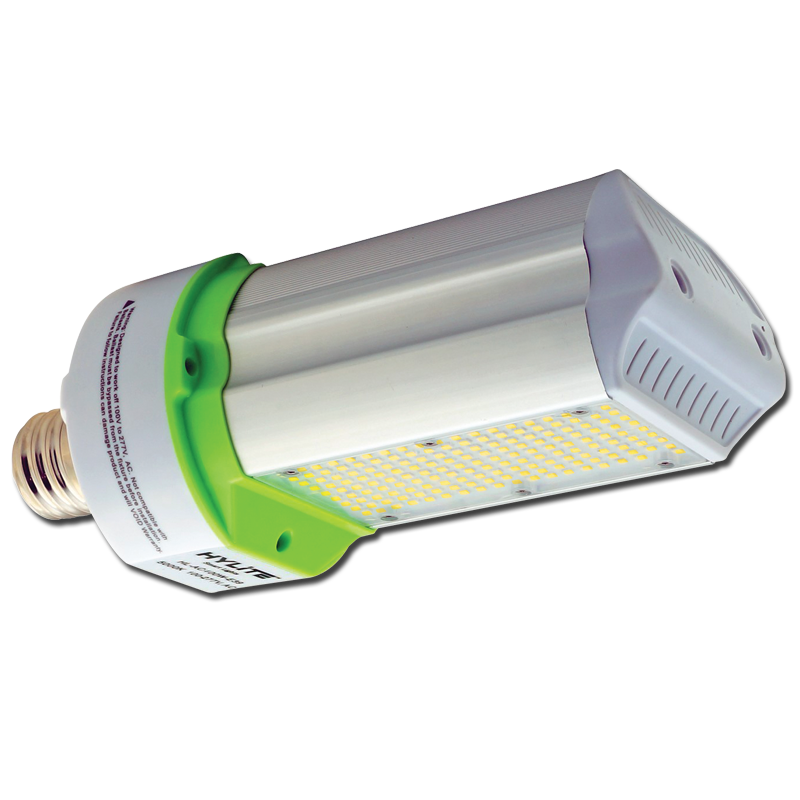 The HyLite LED 100W Arc-Cob is a 400W HID to LED Retrofit Lamp designed for easy installation in new and existing fixtures. It features excellent optics for increased visibility and low power consumption. The HyLite LED Arc-Cob offers directional illumination in either Type III or Type V distribution, making it an ideal retrofit solution for a wide range of fixtures, including Wall Packs, Parking lot Lights, Street Lights, Canopies, and Flood Lights. The HyLite LED 100W Arc-Cob is rated for up to 60,000 hours of life. At an on-time of 10 hours per day, this translates to 17 years of maintenance-free operation. The HyLite LED 100W Arc-Cob is designed with Thermax™, a proprietary thermal management system using both passive and active cooling, to keep the lamp operating at the ideal temperature, even in the harshest conditions. Active Cooling uses no bearings, brushes, or other frictional parts that rub or wear out, and it has extremely low acoustical emissions. Thermax™ controls current levels to the LEDs based on temperature, ensuring longer LED life. The HyLite LED 100W Arc-Cob works on 120V to 277V without the need for a ballast. No ballast equates to greater savings and less maintenance. To protect the lamp throughout its life, HyLite provides a free 20kA in-line Surge Protection Device with each lamp. The HyLite LED 100W Arc-Cob comes with a 5-year warranty. The 100W Arc-Cob is listed on the DLC QPL and can qualify for rebates from many of the major utilities. With savings of over 75% compared to metal halide and high-pressure sodium lamps, the HyLite LED 100W Arc-Cob provides a quick payback and high return on investment. For more information on EC&M's Product of the Year, Click here. For more information on the HyLite LED Arc-Cob lamp, please click here.